Wow!!! I can't believe I've finished not just one, but two pieces of jewelry over the weekend!! I made this Ms. Daisy cuff for a co-worker. I am so glad I asked her to tell me her favorite colors a few weeks ago (after she told me she like the Ms. Daisy cuff I was wearing). I didn't realize my muse had been wandering a bit. 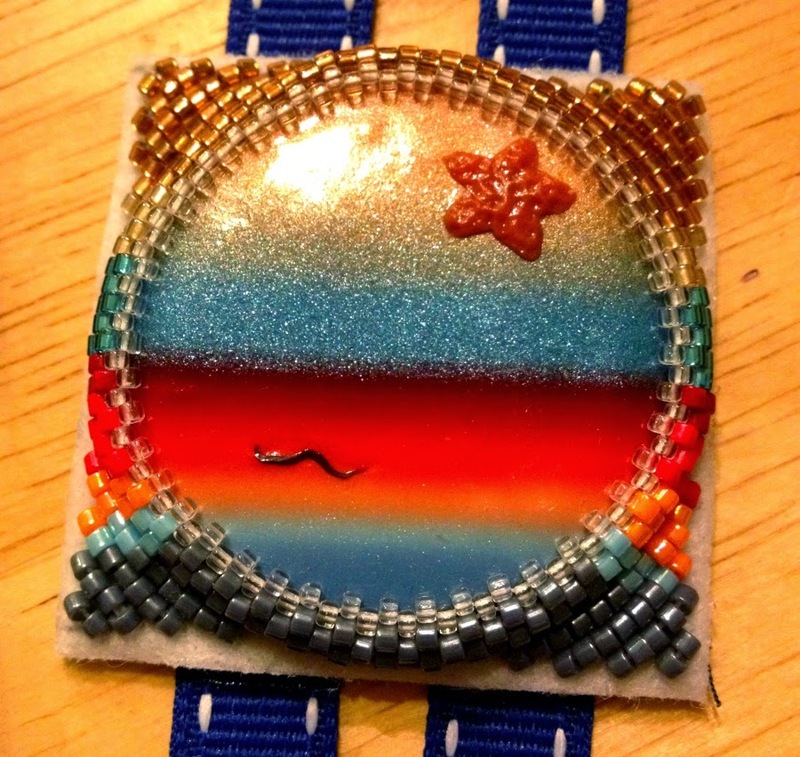 Doing a project for someone was just the right medicine to get me motivated to do more bead work. Now I'm on fire to do more! And for those who had been wondering (because I mentioned in a previous post that I wasn't sure if I had enough dark blue beads,) I had plenty of beads to finish this piece! I also worked on some items for the upcoming ZnetShows Creative Spark magazine! I love working with Hope and contributing to this magazine! How cool is this bezeled cab!!?? Well, that's all for now!! My next big bead/blog goal is to catch up on blogs I love to read!!! 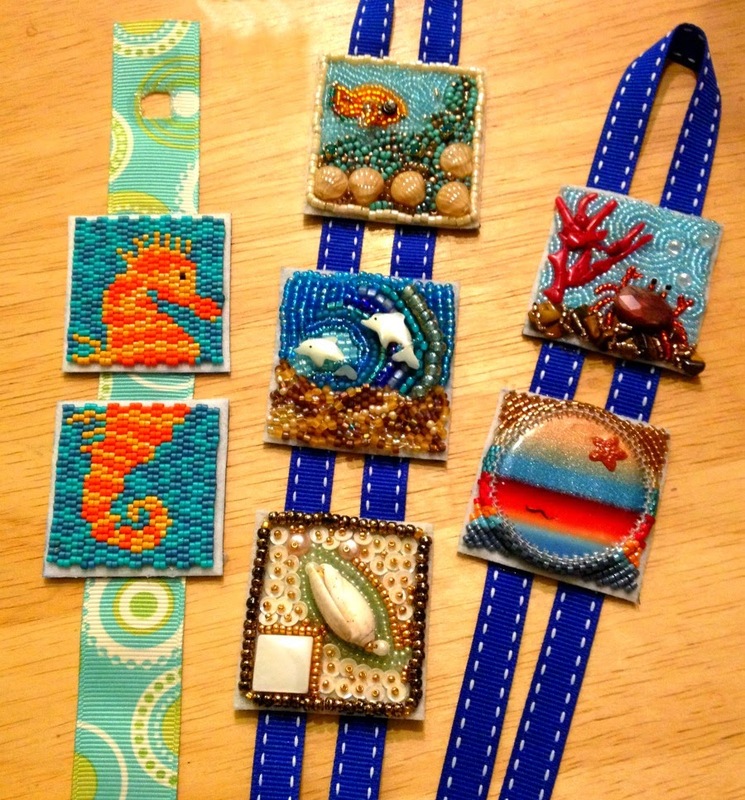 Those sea themed squares are amazing!!! As is your jewelry!!! 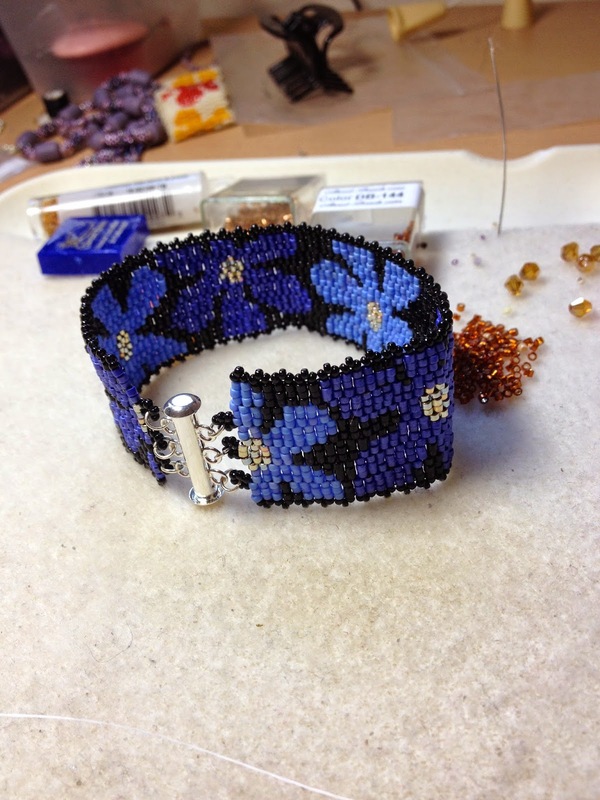 I wish I had the patience to do seed bead work. what a lovely bracelet for your co-worker ... I bet she'll love it! and pretty pattern on that Znet Show piece - and deep pretty fall colors! those squares are awesome, especially that last one where they beaded the pattern from the cab! 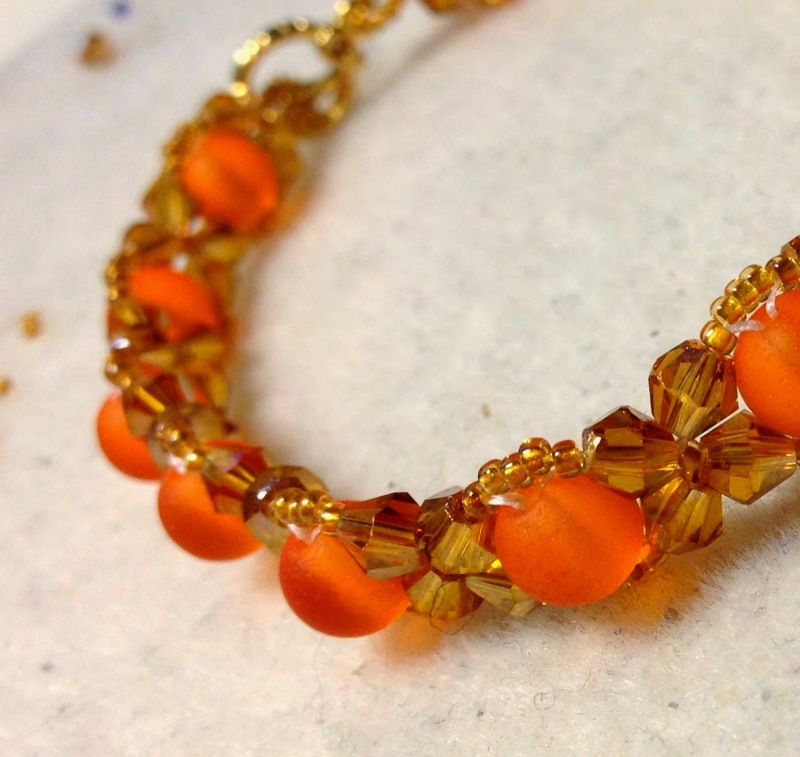 I love the glimpse of the ZNet piece ~ fantastic New England in Fall colors! And those squares are so beautiful! People blow me away with their creativity in a tiny space.